Hurry! 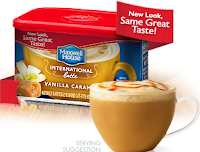 Right now you can score a FREE Maxwell House International Delight Coffee Sample! Just click "Get Sample" and fill out the form!